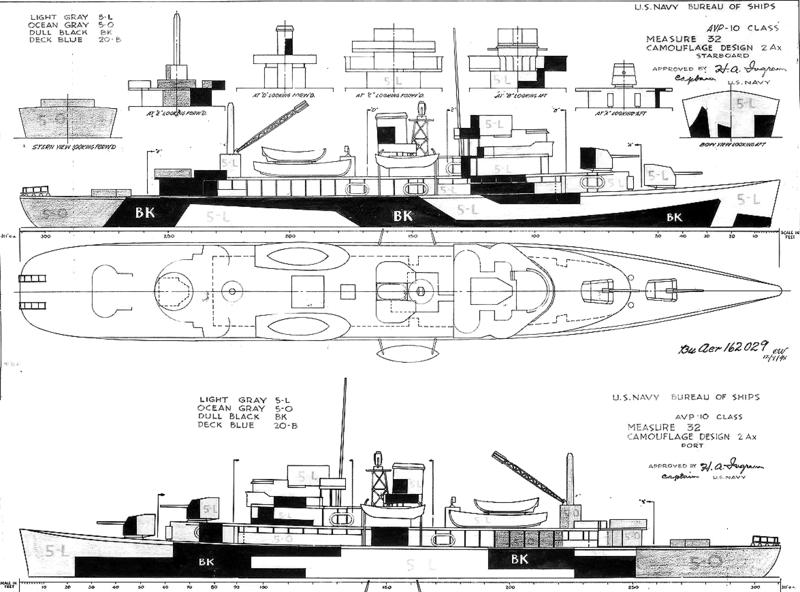 The design drawings for Design 2Ax for the Barnegat class small seaplane tenders drawn on December 9, 1943. The Measure 32 colors shown are dull black (BK), ocean gray (5-O) and light gray (5-L). The deck color is all deck blue (20-B). 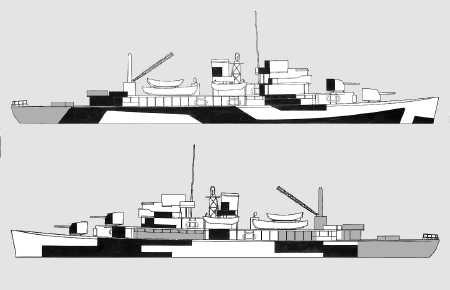 Note, there is a bow view and stern view shown. There has been no other Design 2Ax drawing found. Original drawing source: NARA 80-G-162028 and 80-G-162029.